THE CARE YOUR ACCOUNTING NEEDS! Advantage Accounting Associates provides unparalleled personalized accounting services to a broad range of clients across the Grand Junction area. We are certified in Xero Accounting and Xero Payroll. Along with Hubdocs and of course as a Quickbooks Pro Advisor. ASK ABOUT OUR FREE CONSULTATION OFFER!! WHO YA GOING TO CALL? Do you have year end tax worries? Learn the solution here. 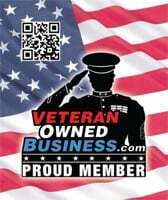 We are a disabled Veteran own business. We understand the need to do things right the first time and how important it is that you have confidence in us in all aspects of your accounting service. As a client of Advantage Accounting customer service is at the fore front of what we do.